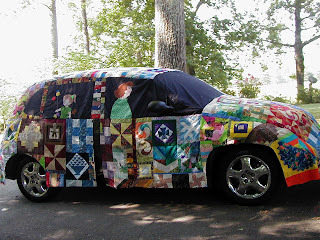 Another treat a retreat was the QUILT CAR. There is a PT Cruiser under there somewhere. 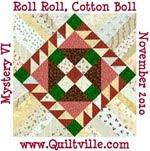 This was made by Jinny Grobusky, you can reach her at grobusky@yahoo.com, if you are interested in renting it. 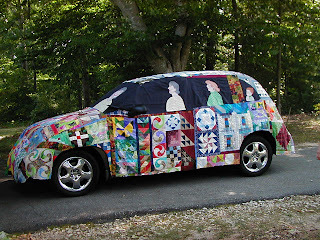 Please put quilt car in the subject line so she will not think you are spamming her. She was very gracious to give me permission to post her pictures on my blog. This is so cool. Oh My Gosh! THat is so cool. It was so great to see you at retreat. 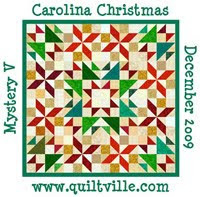 I hope we can meet up when you come to the quilt show in Aiken. 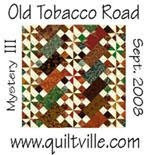 Thanks for sharing your blog with me, I loved the picture of Wayne quilting!